Democracy and Social Ethics. New York: Macmillan, 1902. Reprinted with introduction by Charlene Haddock Seigfried. Urbana and Chicago: University of Illinois Press, 2002. Newer Ideals of Peace. New York: Macmillan, 1907. Reprinted with introduction by Berenice A. Carroll and Clinton F. Fink. Urbana and Chicago: University of Illinois Press, 2007. The Spirit of Youth and the City Streets. New York: Macmillan, 1909. Reprinted with introduction by Allen F. Davis. Urbana and Chicago: University of Illinois Press, 2001. Twenty Years at Hull-House with Autobiographical Notes. New York: Macmillan, 1910. Reprinted with original illustrations by Norah Hamilton and introduction and notes by James Hurt. Urbana and Chicago: University of Illinois Press, 1990. A New Conscience and an Ancient Evil. 1912. Reprinted with introduction by Katherine Joslin. Urbana and Chicago: University of Illinois Press, 2002. The Long Road of Woman’s Memory. 1916. Reprinted with introduction by Charlene Haddock Seigfried. Urbana and Chicago: University of Illinois Press, 2002. Peace and Bread in Time of War. 1922. Reprint with introduction by Katherine Joslin. Urbana and Chicago: University of Illinois Press, 2002. The Second Twenty Years at Hull-House, September 1909 to September 1929, With a Record of a Growing Consciousness. New York: Macmillan, 1930. The Excellent Becomes the Permanent. New York: Macmillan, 1932. My Friend, Julia Lathrop. New York: Macmillan, 1935. Reprinted with introduction by Anne Firor Scott. Urbana and Chicago: University of Illinois Press, 2004. Forty Years at Hull-House; being “Twenty Years at Hull-House” and “The Second Twenty Years at Hull-House” with afterword by Lillian Wald. New York: Macmillan, 1935. Jane Addams: A Centennial Reader. New York: Macmillan, 1960. Twenty Years at Hull-House. Abridged reprint. Edited with introduction and related documents by Victoria Bissell Brown. The Bedford Series in History and Culture. New York: Bedford/St. Martin’s, 1999. Bryan, Mary Lynn McCree, ed. 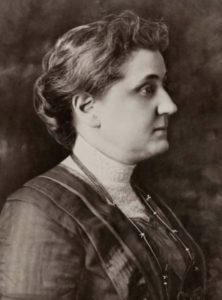 The Jane Addams Papers: A Comprehensive Guide. Bloomington and Indianapolis: Indiana University Press, 1996. __________. The Jane Addams Papers. Microfilm, 82 reels. Ann Arbor: University Microfilms International,1985-86. Bryan, Mary Lynn McCree, Barbara Bair, and Maree de Angury, eds. The Selected Papers of Jane Addams, Volume 1, Preparing to Lead, 1860-81. Urbana and Chicago: University of Illinois Press, 2003. __________. The Selected Papers of Jane Addams, Volume 2, Venturing Into Usefulness, 1881-88. Urbana and Chicago: University of Illinois Press, 2009. Addams, Jane. Jane Addams on Education. Ed. Ellen Condliffe Lagemann. NY: Teachers College Press, 1985. Davis, Allen F., ed. Jane Addams on Peace, War, and International Understanding. New York: Garland, 1976. Elshtain, Jean Bethke, ed. The Jane Addams Reader. New York: Basic Books, 2002. Fischer, Marilyn, Carol Nackenoff, and Wendy Chmielewski, Ed. Jane Addams and the Practice of Democracy. Urbana and Chicago: University of Illinois Press, 2009. Fischer, Marilyn, and Judy D. Whipps, Ed. 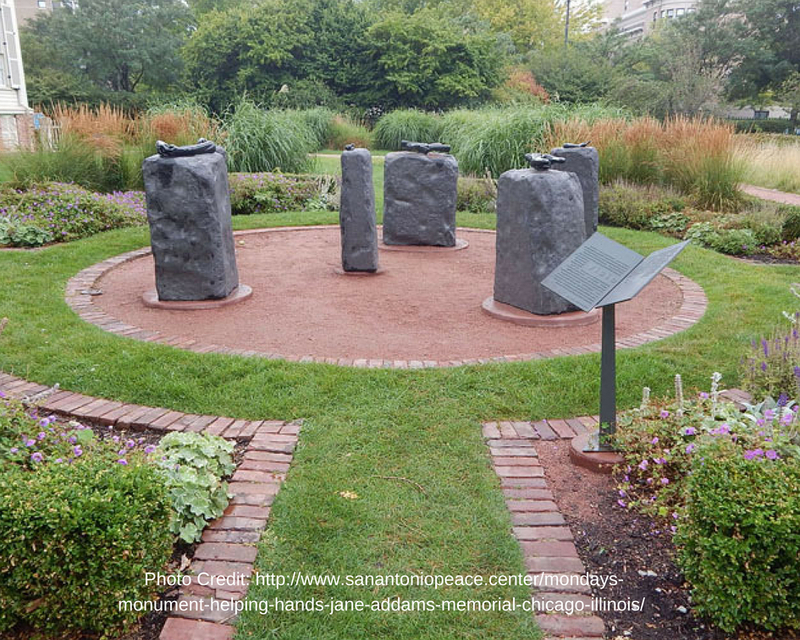 Jane Addams’s Writings On Peace Volume 1: Newer Ideals of Peace. Great Britain: Thoemmes Press, 2003. Fischer, Marilyn, and Judy D. Whipps, Ed. Jane Addams’s Writings On Peace Volume 2: Women at The Hague. Great Britain: Thoemmes Press, 2003. Fischer, Marilyn, and Judy D. Whipps, Ed. Jane Addams’s Writings On Peace Volume 3: Peace and Bread in Time of War. Great Britain: Thoemmes Press, 2003. Fischer, Marilyn, and Judy D. Whipps, Ed. Jane Addams’s Writings On Peace Volume 4: Addams’s Essays and Speeches on Peace. Great Britain: Thoemmes Press, 2003. Lasch, Christopher, ed. The Social Thought of Jane Addams. Indianapolis: Bobbs-Merrill, 1965. Sklar, Kathryn Kish, Anja Schüler, and Susan Strasser. Eds. Social Justice Feminists in the United States and Germany: A Dialogue in Documents, 1885-1930. Ithaca, NY: Cornell University Press, 1998. Conway, Jill Kerr. The First Generation of American Women Graduates. New York and London: Garland Publishing, Inc., 1987. Cracraft, James. Two Shining Souls: Jane Addams, Leo Tolstoy, and the Quest for Global Peace. Lanham, MD: Lexington Books. 2012. Davis, Allen F. American Heroine: The Life and Legend of Jane Addams. Chicago: Ivan R. Dee, 2000. First published 1973 by Oxford University Press. Deegan, Mary Jo. 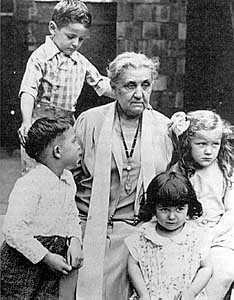 Jane Addams and the Men of the Chicago School. 1892-1918. New Brunswick, N.J.: Transaction Books, 1988. Diliberto, Gioia. 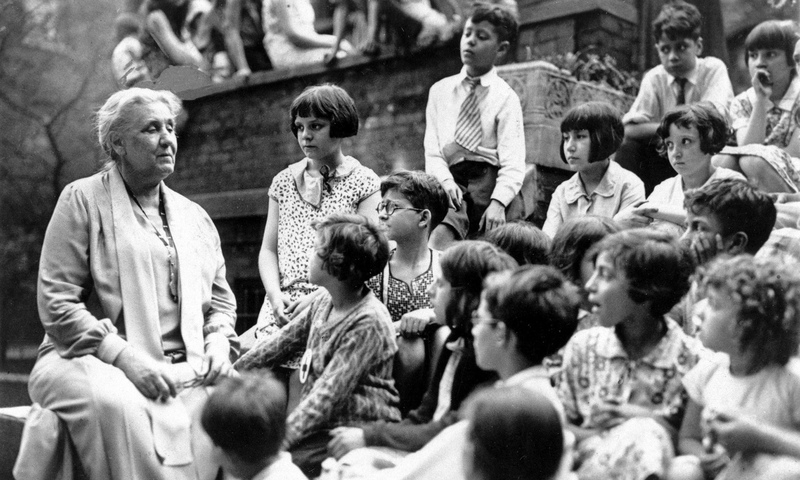 A Useful Woman: The Early Life of Jane Addams. New York: Scribner’s, 1999. Dorrien, Gary, Social Ethics in the Making: Interpreting an American Tradition. Wiley-Blackwell, 2011. Farrell, John C. Beloved Lady: A History of Jane Addams’ Ideas on Reform and Peace. Baltimore: Johns Hopkins University Press, 1967. Fischer, Marilyn. On Addams. Canada: Thomson Learning, 2004. Fischer, Marilyn, Carol Nackenoff, and Wendy Chmielewski, eds. Jane Addams and the Practice of Democracy. Urbana and Chicago: University of Illinois Press, 2009. Joslin, Katherine. 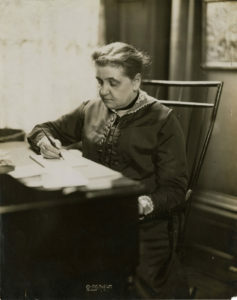 Jane Addams, A Writer’s Life. Urbana and Chicago: University of Illinois Press, 2004. Knight, Louise W. Citizen: Jane Addams and the Struggle for Democracy. Chicago and London: University of Chicago Press, 2005. Knight, Louise W. Jane Addams: Spirit in Action. New York: W.W. Norton & Company. (2010). Lagemann, Ellen Condliffe. Jane Addams on Education. New York: Teachers College Press, 1985. Linn, James Weber. 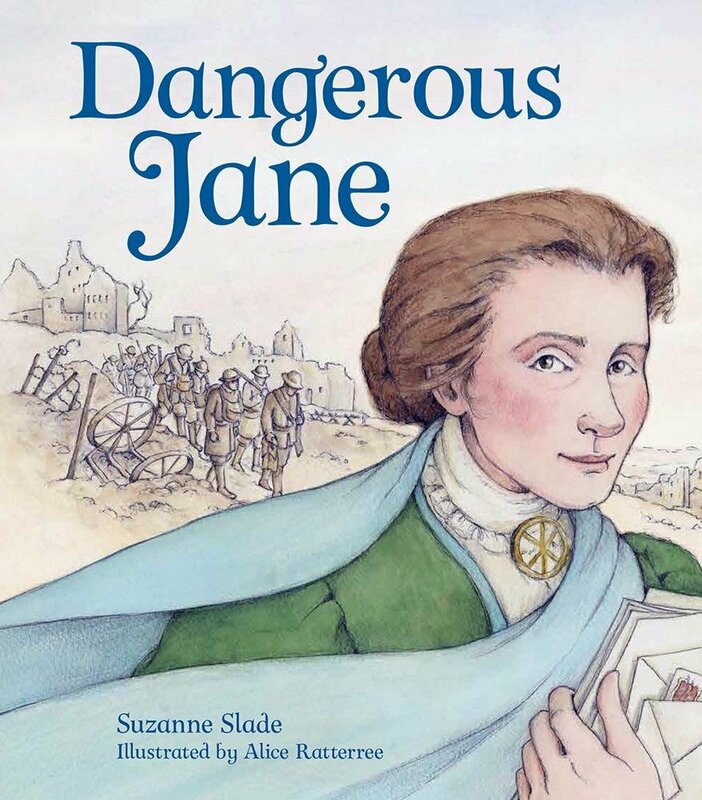 Jane Addams: A Biography. New York: D. Appleton-Century, 1935. Reprinted with introduction by Anne Firor Scott. Urbana and Chicago: University of Illinois Press, 2000. Polikoff, Barbara Garland. With One Bold Act: The Story of Jane Addams. Chicago: Boswell Books, 1999. Sicherman, Barbara. Well-Read Lives; How Books Inspired a Generation of American Women. Chapel Hill: University of North Carolina Press, 2010. Tims, Margaret. Jane Addams of Hull House, 1860-1935; A Centenary Study. New York: Macmillan, 1961. Addams, Jane. Twenty Years at Hull-House with Autobiographical Notes. New York: Macmillan, 1910. Edited with introduction by Victoria Bissell Brown. Boston: Bedford/St. Martin’s, 1999. Barbuto, Domenica M. American Settlement Houses and Progressive Social Reform: An Encyclopedia of the American Settlement Movement. Phoenix, Arizona: The Oryx Press, 1999. Bisno, Abraham. Abraham Bisno, Union Pioneer; An Autobiographical Account of Bisno’s Early Life and the Beginnings of Unionism in the Women’s Garment Industry. With a foreword by Joel Seidman. Madison: University of Wisconsin Press, 1967. Bowen, Louise de Koven. Growing Up With a City. New York: Macmillan, 1926. Reprinted with introduction by Maureen A. Flanagan. Urbana and Chicago: University of Illinois Press, 2002. Bryan, Mary Lynn McCree and Allen F. Davis, eds. One Hundred Years at Hull-House. Bloomington: Indiana University Press, 1990. Coss, Clare, Ed. Lillian D. Wald: Progressive Activist. New York: The Feminist Press at The City University of New York, 1989. Costin, Lela B. Two Sisters for Social Justice: A Biography of Grace and Edith Abbott. Urbana and Chicago: University of Illinois Press, 2003. Ganz, Cheryl R., and Margaret Strobel, eds. Pots of Promise: Mexicans and Pottery at Hull-House, 1920-1940. Urbana and Chicago: University of Illinois Press, 2003. Glowacki, Peggy, and Julia Hendry. 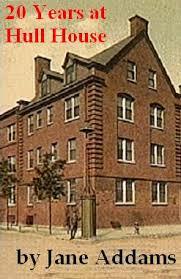 Hull-House. Charleston, S.C.: Arcadia Press, 2004. Gwinn, Kristen E. Emily Greene Balch: The Long Road to Internationalism. Urbana. University of Illinois Press, 2010. Hackett, Francis. American Rainbow; Early Reminiscences. New York: Liveright Publishing Company, 1970. Hoy, Suellen, Ellen Gates Starr. Her Later Years. (Chicago: Chicago History Museum, 2010. Jackson, Shannon. Lines of Activity: Performance, Historiography, Hull-House Domesticity. Ann Arbor: University of Michigan Press, 2000. Johnson, Mary Ann, ed. The Many Faces of Hull-House: The Photographs of Wallace Kirkland. Urbana: University of Illinois Press, 1989. Kirkland, Wallace. Recollections of a LIFE Photographer. Boston: Houghton Mifflin, 1954. Loth, David Goldsmith. Swope of G.E. : The Story of Gerard Swope and General Electric in American Business. New York: Simon and Schuster, 1958. Lissak, Rivka Shpak. Pluralism and Progressives: Hull-House and the New Immigrants, 1890-1919. Chicago: University of Chicago Press, 1989. Polacheck, Hilda Satt. I Came A Stranger: The Story of a Hull-House Girl. Edited by Dena J. Polacheck Epstein with introduction by Lynn Y. Weiner. Urbana: University of Illinois Press, 1989. Schultz, Rima Lunin, Adele Hast, Ed. Women Building Chicago 1790-1990: A Biographical Dictionary. Bloomington & Indianapolis: Indiana University Press, 2001. Sicherman, Barbara. Alice Hamilton; A Life in Letters. Cambridge, Mass., and London: Harvard University Press, 1984. Sklar, Kathryn Kish and Beverly Wilson Palmer. The Selected Letters of Florence Kelley, 1869-1931. Urbana and Chicago: University of Illinois Press, 2009. Smith, Eleanor. Hull House Songs. Chicago: Clayton F. Summy Co., 1915. Starr, Ellen Gates. On Art, Labor, and Religion. Edited with introduction by Mary Jo Deegan and Ana-Maria Wahl. New Brunswick, N.J.: Transaction Publishers, 2003. Stebner, Eleanor J. The Women of Hull House: A Study in Spirituality, Vocation, and Friendship. Albany, NY: State University of New York Press, 1997. Teatero, William. Mackenzie King: Man of Mission. Ontario, Canada: T. Nelson & Sons, 1979. Bowen, Louise de Koven. Speeches, Addresses, and Letters of Louise de Koven Bowen; Reflecting Social Movements in Chicago. 2 vols. Ann Arbor, Mich: Edwards Bros., Inc., 1937. Carson, Mina. Settlement Folk: Social Thought and the American Settlement Movement, 1885-1930. Chicago: University of Chicago Press, 1990. Chambers, Clark A. Seedtime of Reform; American Social Service and Social Action, 1918-1933. Minneapolis: University of Minnesota Press, 1963. Clapp, Elizabeth. Mothers of All Children: Women Reformers and the Rise of Juvenile Courts in Progressive-Era America. University Park: Pennsylvania State University Press, 1998. Crocker, Ray Hutchinson. Social Work and Social Order, the Settlement Movement in Two Industrial Cities, 1889-1930. Urbana and Chicago: University of Illinois Press, 1992. Davis, Allen F. Spearheads for Reform: The Social Settlements and the Progressive Movement, 1890-1914.  New Brunswick, N.J.: Rutgers University Press, 1984. Flanagan, Maureen. Seeing with Their Hearts: Chicago Women and the Vision of the Good City, 1871-1933. Princeton: Princeton University Press, 2002. Fitzpatrick, Ellen. Endless Crusade: Women Social Scientists and Progressive Reform. New York: Oxford University Press, 1990. Hamilton, Alice. Exploring the Dangerous Trades: The Autobiography of Alice Hamilton. Boston: Little, Brown and Company, 1943. Reprinted with foreword by Jean Spencer Felton, M.D. Beverly Farms, MA :OEM Press, 1995. Hayden, Dolores. The Grand Domestic Revolution: A History of Feminist Designs for American Homes, Neighborhoods, and Cities. Cambridge: The MIT Press, 1981. Horowitz, Helen Lefkowitz. Culture and the City: Cultural Philanthropy in Chicago from the 1880s to 1917. 2d ed. Chicago: University of Chicago Press, 1989. Knupfer, Anne Meis. Reform and Resistance: Gender, Delinquency, and America’s First Juvenile Court. New York: Routlege, 2001. Lagemann, Ellen Condliffe. A Generation of Women: Education in the Lives of Progressive Reformers. Cambridge: Harvard University Press, 1979. Lasch-Quinn, Elisabeth.  Black Neighbors: Race and the Limits of Reform in the American Settlement House Movement, 1890-1945. Chapel Hill: University of North Carolina, 1993. McCarthy, Kathleen. Noblesse Oblige: Charity and Cultural Philanthropy in Chicago, 1849-1929. Chicago: University of Chicago Press, 1982. ___________, ed. Lady Bountiful Revisited: Women, Philanthropy, and Power: New Brunswick: Rutgers University Press, 1990. McNamee, Gwen Hoerr, ed. A Noble Social Experiment? : The First 100 Years of the Cook County Juvenile Court, 1899-1999. Chicago: Chicago Bar Association with the Children’s Court Centennial Committee, 1999. Alonso, Harriet Hyman, Peace as a Woman’s Issue: A History of the U.S. Movement for World Peace and Women’s Rights Syracuse: Syracuse University Press, 1993. Barbara Kraft, The Peace Ship: Henry Ford’s Pacifist Adventure in the First World WarNY: Macmillan Publishing, 1978. Patterson, David S. The Search for Negotiated Peace: Women’s Activism and Citizen Diplomacy in World War I. NY: Routledge, 2008. Plastas, Melinda. 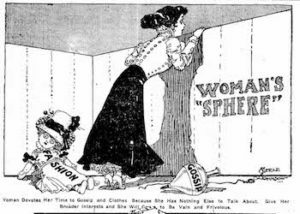 A band of noble women : racial politics in the women’s peace. Syracuse, N.Y.: Syracuse University Press, 2011. Foster, Carrie A. The women and the warriors : the U.S. 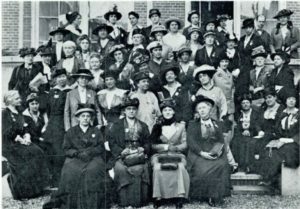 Section of the Women’s International League for Peace and Freedom, 1915-1946. Syracuse, N.Y. : Syracuse University Press, 1995.